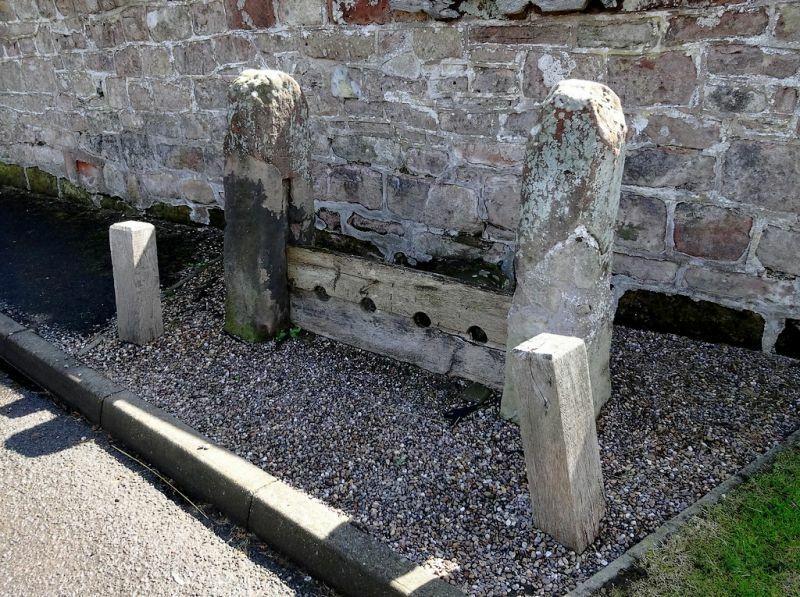 Stocks, now disused, of indeterminate but probably C17 or C18 date. C20 planks with 4 leg holes between. Rough stone block serves as seat.